Associated place: Wincle Beer Co.
Commenced brewing July 2008. Despite the Macclesfield postal address, the brewery is actually in Staffordshire. 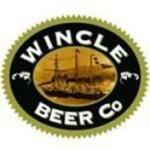 In 2011 the Brewery moved to Wincle from Heaton House, Macclesfield.